Surprise your favorite person with a Happy Birthday Balloon Bouquet so colorful that it will sing Happy Birthday for you ! 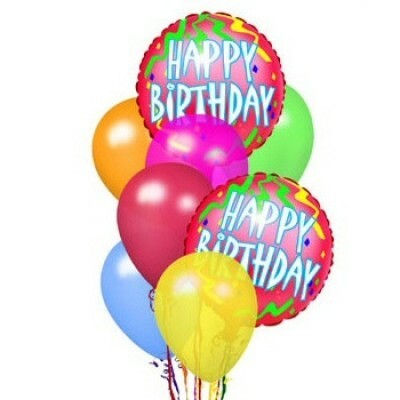 Vibrant, eye-catching colors with 9 latex colored balloons and 3 mylars with Happy Birthday written on them. We guarantee same-day delivery in Sao Paulo if your order before 12pm local time. 9 latex colored balloons and 3 mylars with Happy Birthday written on them. The picture is illustrative but on the same quality standard as the balloon bouquet delivered. We guarantee the effect and satisfaction of recipient.